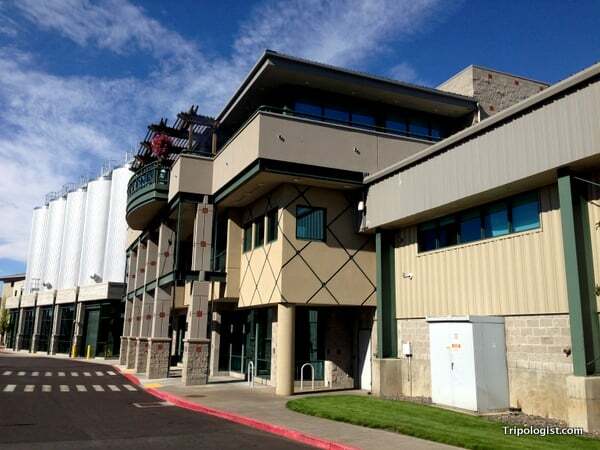 If I learned two things on my tour of Deschutes Brewery in Bend, Oregon, it’s this: Deschutes makes some really fantastic beer, but don’t call them a microbrewery. They are, in fact, the fifth largest Regional Craft Brewery in the country. 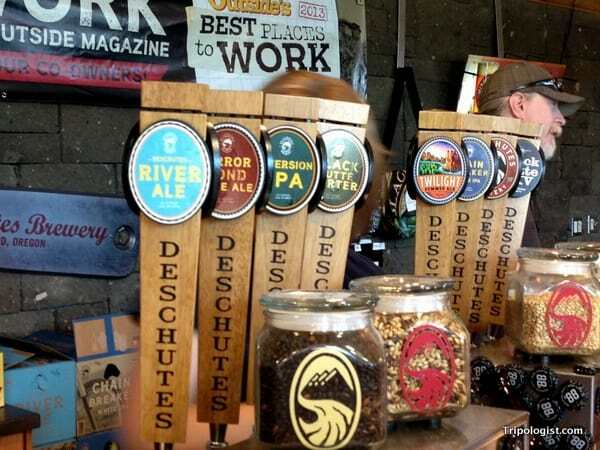 This category is topped by several other breweries I’m a big fan of, Sam Adams and Shiner, so I knew Deschutes beer must be good to compete with some of the best Regional Craft Breweries in the country. I had come to the town of Bend on a whim during my houseboat vacation on the nearby Lake Billy Chinook. If you like hippies, hipsters, and beautiful scenery, Bend is a great place to visit. However, what excited me the most was a chance to try some of the Pacific Northwest’s best beers. 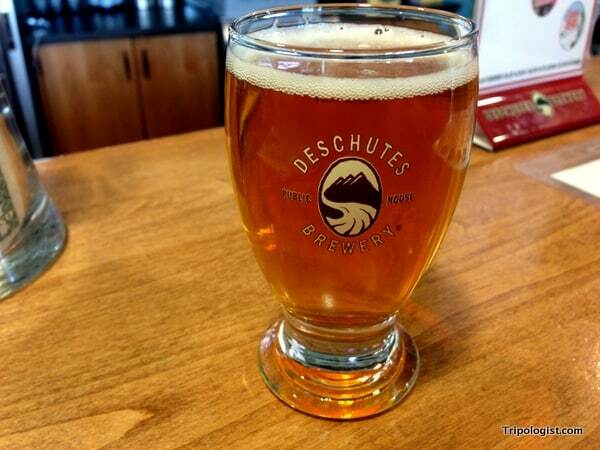 Deschutes Brewery sits in a large, but unassuming building on the outskirts of town. The building’s most striking feature is the ten giant brew kettles that protrude from brewery’s roof. The Deschutes Brewery in Bend, Oregon. Making our way inside, we were guided to Deschutes’ tasting room and gift shop. After signing up for a tour, we made our way over to the bar. Unlike many breweries I’ve visited, Deschutes’ tasting room is a real tasting room. Instead of serving as a full bar, the facility instead gives you four small samples for free, but doesn’t, to the best of my knowledge, offer drafts for sale. Either way, you gotta love free beer! Our tour started off with a history of Deschutes while standing next to the 50-barrel brewery system that they bought for their first expansion in 1993. While they have dramatically expanded from that 50-barrel capacity, they still use the smaller machine to run test batches and to experiment with different brews. 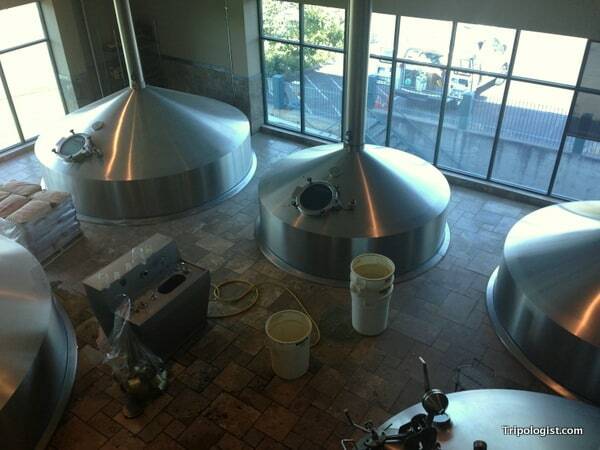 An overhead view of several of Deschutes new brewing kettles. Their current brewery has been recently expanded, adding 10 new gigantic brewing kettles from Germany, expanding the capacity of the brewery by over 100,000 barrels of beer annually. However, just because they are expanding doesn’t change Deschutes commitment to both the community and high quality beer. In fact, Deschutes in one of the only breweries in the US to either purchase or offset all of their electricity with renewable energy. 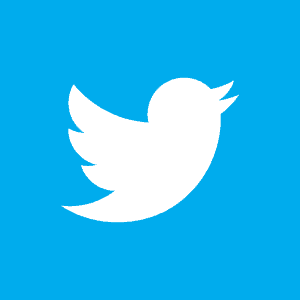 However, no matter what the brewing process is or how big the brewery becomes, what’s important is the beer. And, let me tell you, the beer at Deschutes is really, really good. 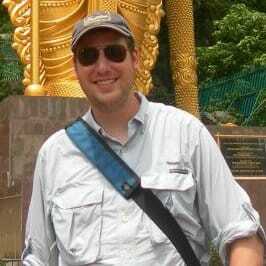 Recently, I had the opportunity to talk to the founder and head brewmaster of a craft brewery on the east coast, and I asked him, “Other than your own, what’s your favorite brewery?” Without hesitating, he rattled off three breweries, one of which was Deschutes. So, if other brewmasters hold them in high regard, that should tell you a lot about the quality of their beer. It’s worth keeping in mind though, even for those of whose palates have been refined on high quality brews, that Deschutes is a typical northwestern brewery. In other words, their beer is really, really hoppy. And while you still enjoy their beers, you may find them too strong if you aren’t a fan of hops. The many tasty beers available for tasting either before or after your Deschutes Brewery Tour. That being said, they do have something for everyone on the menu. Whether it’s their lighter, and award-winning pale ale or their pucker inducing sour beer, a beer tasting at Deschutes is definitely something everyone who visits Oregon should try. Fortunately, for those of you who can’t make the three-hour trip from Portland to Bend, Oregon, Deschutes runs a beer pub in downtown Portland. And, while you won’t get the fantastic tour of the brewery, the Portland location gives you a great chance to try all of Deschutes’ beers in one location. If you visit the Pacific Northwest of America, I’d definitely recommend a visit to Deschutes. Deschutes is on the top of my brewery list at the moment and has been since we visited their brewhouse in Portland last fall. Their combination of high quality and creative brews is outstanding.